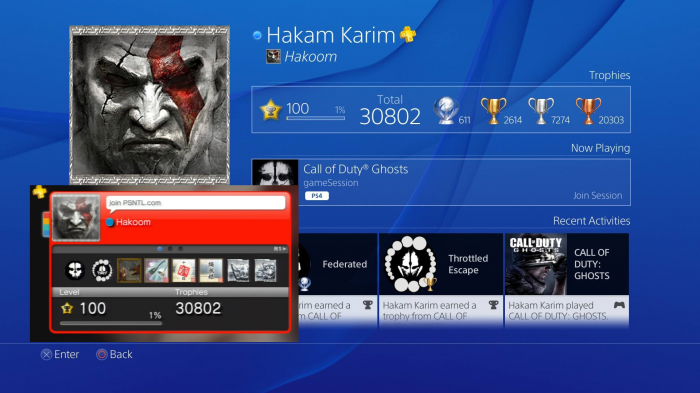 The very first person has hit level 100 on the Playstation Network. User “Hakoom” has been playing Playstation games for 1,990 days (and counting) and finally hit the level cap just a few days ago. To reach that level he’s had to play 1,016 different games and has earned 30,857 Trophies. That averages out to 15.5 Trophies earned per day and has left Hakoom with an average progress figure (within each game he’s played) of 83%. In terms of specific Trophies he’s earned, the number includes 611 Plats (Platinum), 2,617 Gold, 7,282 Silver and finally 20,347 Bronze. If you want to get in touch with Hakoom and maybe pick his brain, then he posted some contact details over here at NeoGAF as well as answered a few questions that other posters wanted to know. Apparently he’s just a massive Sony fan and has been playing games ever since the Nintendo Gameboy was released!